Have you ever watched a film about medieval warfare, or even something like The Lord of the Rings, and thought about how cool it would be to command an army in one of those epic battles? Or maybe you’ve watched Game of Thrones and wondered how you would go about ruling/conquering an entire nation? Well, Total War Saga: Thrones of Britannia, the newest game in Creative Assembly’s impressive series, might just have you covered on both fronts. Also, you may be a megalomaniacal tyrant. Just FYI. 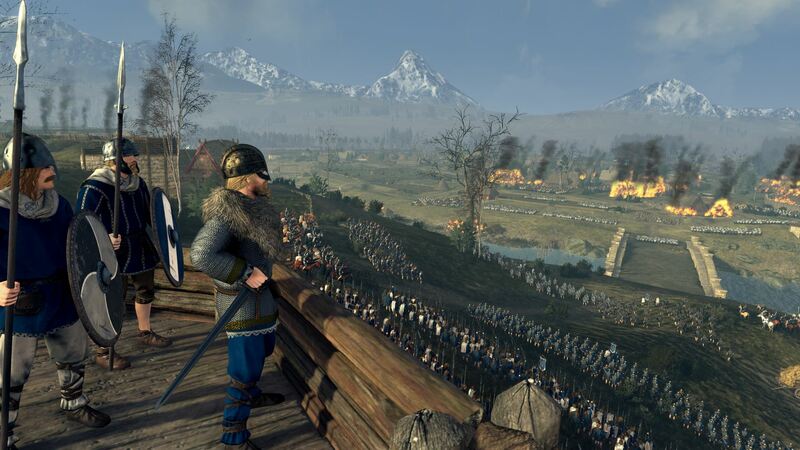 The Total War games have always held an element of wonder, for me, as their battles are fantastically detailed and their turn-based world maps have conjured up fantasies of ruling a kingdom; sending diplomats to other territories to foster healthy relations, perhaps securing trade routes, or maybe even sending in spies or assassins to do the dirtier jobs. However, my inability to command even the smallest forces keeps this idea a total fantasy. When this new game landed on my lap, I thought that maybe the ‘A Total War Saga’ title denoted that this was a spin-off. That maybe, just maybe, the series had decided to cater for players like myself. I want to be able to say to you, dear reader, that Thrones of Britannia is the most accessible Total War game to date. I want to say that I finally got to experience the feeling of ruling a kingdom that I always fantasised about in this series. Unfortunately, this game does not want players like me to play it. No really, it doesn’t. The lack of tutorials says as much. Sure, you have an advisor that lets you know how your forces, allies and enemies are doing, but that advisor never tells you how to deal with any of it. At one point during the campaign, there was public unrest in one of my towns and all my advisor would do was tell me this was happening: it didn’t once explain how to deal with this and the same goes for when an army was running out of provisions. The game simply said to disband some of the forces, but doing that resulted in no change whatsoever. I genuinely don’t think I’ve ever felt so lost when trying to navigate a game’s systems and mechanics. I find this kind of oversight baffling. Let’s go back to the beginning though, shall we? 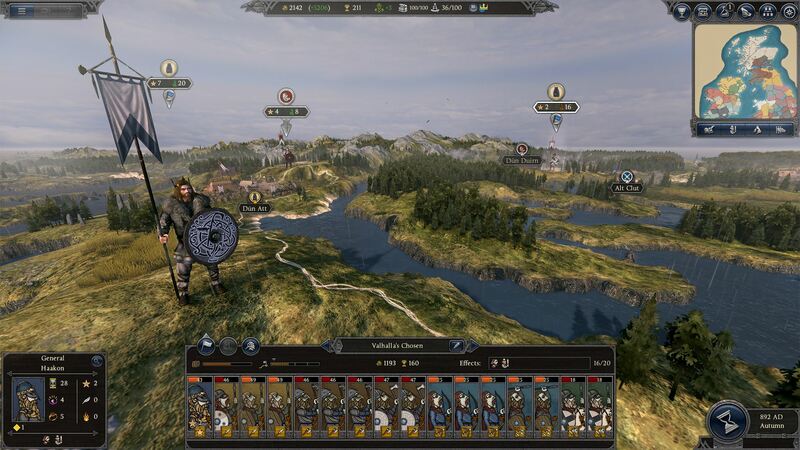 The Total War franchise has always prided itself on its historical accuracy (except for the Warhammer games, obviously, but that did involve a different kind of accuracy) and Thrones of Britannia is no different. 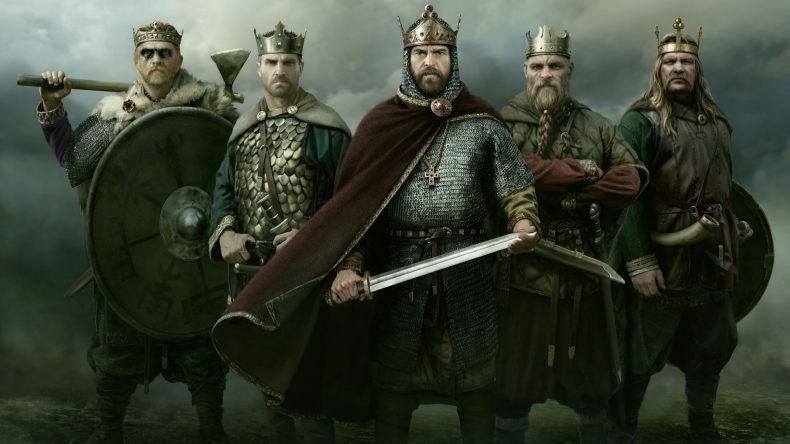 Taking place after Alfred the Great had repelled the Viking invasion at the battle of Edington, with Britain now in a rather tense period of fragile peace, you have the opportunity to re-write the next chapter of history. You can choose from a number of forces across Britain, from the English to the Welsh, or even the viking settlers that remain on the eastern coast; then you can mount an attempt to take control of the entire country. Each faction is essentially a kind of difficulty selection (although a proper difficulty slider is present and correct), as it determines how you begin your campaign, such as relationships with neighbouring counties or the might of your armies. 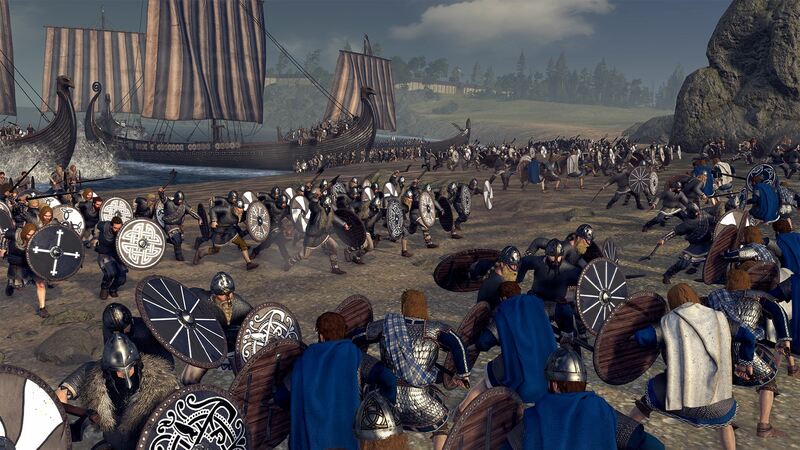 Thrones of Britannia, like previous Total War games, consists of two forms of gameplay. You’ll have an overworld map, Britain in this case, which is divided into territories ruled by different factions, all based on real historical data. On this map, you can make changes to your territory’s towns and cities, arrange diplomatic deals that can benefit your kingdom, or you can send out armies to do various things. Each army can only move so far though, before using up their action points and you’ll have to end the turn to move things along. It feels quite like a board game at times, or like Armello, the digital board game. Only without the animal characters and the dice rolling. This is, without question, the most complicated part of the game, with a UI that is a little overly complicated; returning players will likely feel right at home, but new players might feel a bit overwhelmed, especially as they’re left to figure everything out for themselves. The second part of the game begins whenever a fight lands on your door. Diplomacy sometimes fails, or perhaps it was never even an option, or maybe you had to run to the defence of an ally; when this happens, the inevitable battles will begin. Now, you have three choices before things kick off: you can auto-resolve the battle, take full control of proceedings or you can run away. The last option should not be ignored, because the game tells you the size of each force beforehand, and if you’re vastly outnumbered you might want to rethink your strategy. Auto-resolve is best used when you’re the one with the overwhelmingly favourable odds, resulting in a brief animation of two soldiers fighting it out. The outcome is obvious from the animation played. Taking control of the battle is excellent. You’ll load into a battlefield, ready to deploy your army as you see fit. Archers up high, swordsmen protected by spearmen when horses come running in, that kind of thing. It should be said that you can practice these things as much as you want in the separate Battles mode on the main menu (complete with fully customisable forces on either side), but the tension is palpable when your whole kingdom is on the line in Campaign. Once you’ve set out your army, you can start the battle and get right into the gritty, realistic representation of war. The AI is excellent, genuinely reacting to the moves you make, and the stark sound of steel clashing and men roaring, horses’ hooves thundering across the earth, is absolutely stunning. The animation sometimes seems a little clunky, but most of the time it feels incredibly epic. That said, it still doesn’t offer up any real tutorial even for this part of the game and I can’t help but feel that someone could have easily said as much to the developer. It’s such a shame that this obviously interesting and detailed strategy game is held back by a total lack of respect for new players. With a few basic tutorials, or perhaps a handful of proper hints about resolving various issues, this could have been an absolutely stunning proposition for a whole host of people. As it stands, Total War Saga: Thrones of Britannia is only really recommended for existing fans of the series. While this may not necessarily be a bad thing, it certainly stopped me from really enjoying it. For Total War fans this is likely a must-have title, but to anyone else Thrones of Britannia is a confusing mess that simply isn’t welcoming to series newcomers.